We've all been there. You have finalized and completed your bundle, only to find new documents arrive in at the last minute. Don't stress. Bundledocs has just the solution for you. 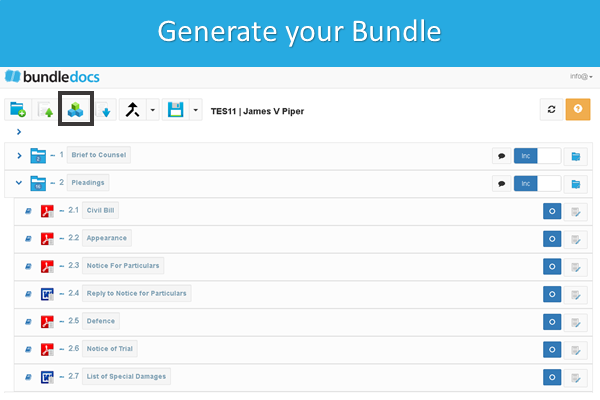 To begin with, if you have yet to send out or distribute your bundles to others, it couldn't be easier. Simply upload your new documents, arrange in order and generate. Your updated bundle is immediately available in seconds. The issue for many legal professionals out there is when the bundle has been sent out to the other parties relevant to the case - such as other side counsel, Barristers, Judges etc. From that point on, they need to ensure that the original page numbering is not affected (as some parties may have already begun their preparation, noting page numbers etc.). With Bundledocs unique and powerful Late Inserts feature, these troubles are in the past. So what is our Late Inserts feature and how does it work? 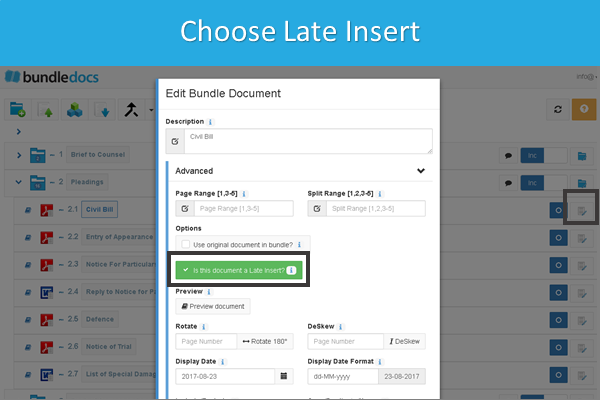 Bundledocs Late Inserts offers you the flexibility to add missing or late arrival documents into your bundle with ease. 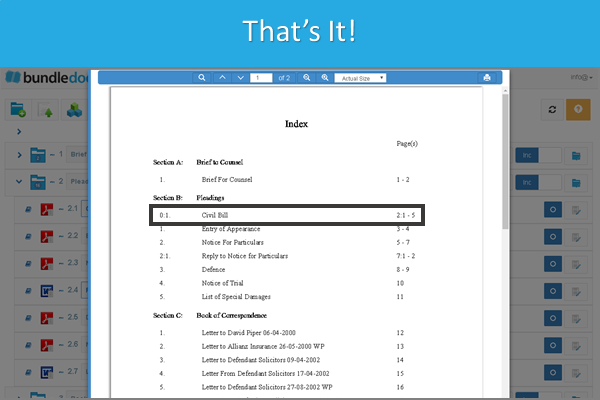 Once a document is marked as a Late Insert it will automatically apply alternative numbering to the document and this is then automatically reflected in the updated index page. It doesn't alter or affect your existing page numbering and ensures that all parties are reading from the same page, at all times. It's incredibly simple and easy to use. So how exactly does it work? 2. Mark a document as a Late Insert. Simply select the 'Edit Details' option, select the option 'Is this a late insert document?' and update. 3. Generate. Once you have positioned your document where you want it to appear, you are ready to generate. Bundledocs will then handle the hard work for you. It will apply an alternative number scheme on your document and this will be reflected on your index page. Interested to learn more? Don't waste time. Get in touch with our team to arrange your free online demonstration and free 30 day trial today.